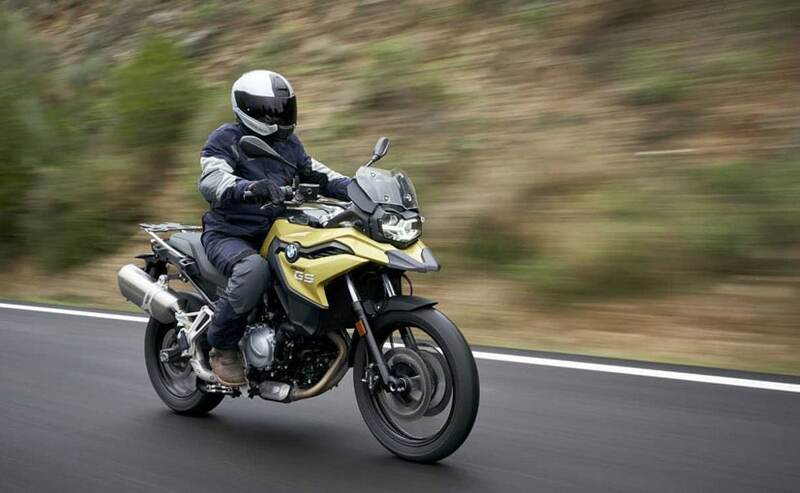 The BMW F 750 GS and BMW F 850 GS were launched at the Auto Expo 2018, but it's only now that BMW Motorrad has started taking bookings. BMW Motorrad has started taking bookings for their all-new adventure motorcycles, the BMW F 750 GS and BMW F 850 GS in India. Both motorcycles are available in three variants - Standard, Pro Low Suspension and Pro. Prices of the F 750 GS start at ₹ 11.95 lakh for the base Standard variant and goes up to ₹ 13.40 Lakh for the top-spec Pro variant. Prices of the F 850 GS start at ₹ 12.95 lakh for the base Standard variant and ranges to ₹ 14.40 lakh for the top-end Pro variant. BMW has started accepting the bookings for both the motorcycles at their dealerships and will sell them in India as a Completely Built Units (CBU). All prices ex-showroom, India. Both the Motorcycles are powered by an 853 cc, 2-Cylinder engine that in the F 750GS produces 77 bhp at 7500 rpm and 95 bhp at 8250 rpm in the F 850GS. The engine is mated to a six-speed gearbox that optimizes the torque output. It is also equipped with an anti-hopping clutch that reduces the torque drag and also ensures enhanced safety during braking manoeuvres while dropping down the gear. Categorically, the BMW F 850 GS is more of an off-roader while the F 750 GS is more road focused which is why the power output is higher on the former. 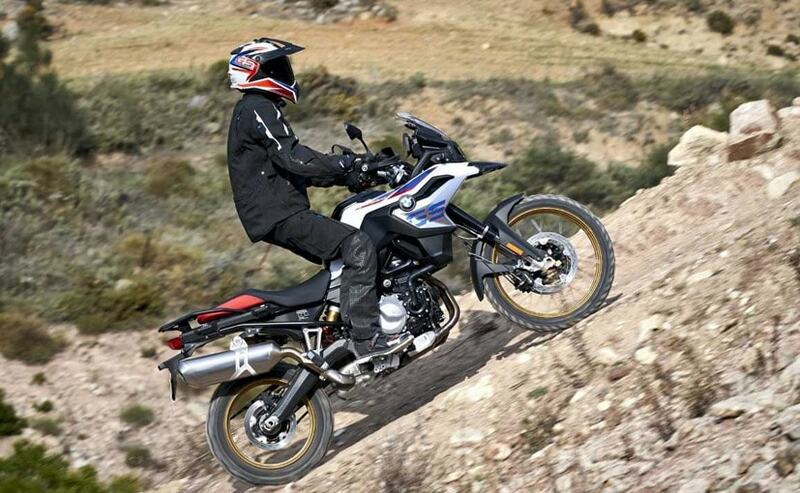 The F 850 GS also has a marginally larger wheelbase at 1593 mm compared to 1559 mm of the F 750 GS. Moreover, the former also gets cross spoke 21-inch Wheels and 17-inch wheels at the rear shod in fatter 90/90 and 150/70 profile tyres, respectively which complement its off-road character. The latter on the other hand comes with cast aluminium, 19-inch wheels shod in 110/80 profile in the front and similar 17-inch wheels shod in 150/70 tyres at the rear. The BMW F 750 GS is available with two colour options- a Light White paintjob with black or red seats and yellow paintjob with black or grey seats. On the other hand, the BMW F 850 GS gets a host of shades and colour treatment to opt from. In the basic form it's available with what BMW calls Racing Red paintwork with Black or Grey seats. Then there is the Rallye style that has a light white paintjob with graphics in Racing Red or Lupin Blue Metallic. It also gets hand protectors, gold wheels and radiator covers with GS graphics embossed on them and seats either in red or black. Furthermore, there is also an exclusive trim that gets Pollux metallic matte paintwork with hand protectors, fixed forked gold tubes and radiator cover with large GS tapes, this variant can be had with black or grey seats. Both motorcycles are equipped with a new 6.5-inch TFT display instrument cluster. The Motorcycles also get Bluetooth connectivity options for media and phone along with a navigation system that can also be accessed via the BMW Motorrad Connected app. In addition, the rider assist and safety systems like automatic stability control (ASC), anti-lock braking system (ABS), cruise control and different riding modes like Rain and Road are also standard across the range. Moreover, at an added cost, buyers can also go for the optional riding modes- Dynamic and Enduro along with Dynamic Traction Control (DTC) and ABS Pro that offer enhanced traction. In the market, both the motorcycles will go up against the Triumph Tiger 800, Ducati Multistrada 950 and Honda Africa Twin.